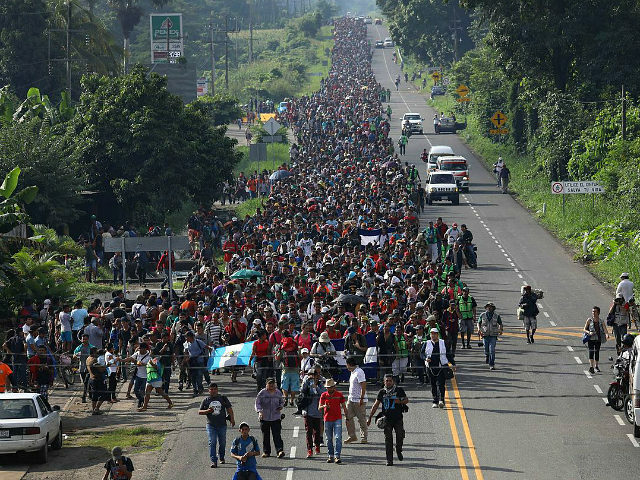 Meanwhile, in the Democrats’ liberal base, the mood toward the caravan is positively sympathetic. The caravan’s slogan, “People without borders,” chimes with the rising sentiment among liberals that border-enforcement is inherently illegitimate, and usually racist, too. In February, all Democrats joined with business-first Republicans to block Trump’s compromise immigration-reforms. Since then, Democrats have also opposed vital border-protection measures, such as additional detention-beds or extra officers. Frum’s article is filled with the usual progressive-skewed terminology, including “unauthorized immigrants,” “extreme right,” “fascist,” and it even uses the term “liberal” to describe progressives or elite socialists. But many even-handed observers need to adjust their terms to mollify the progressive editors who do not want to recognize the difference between an illegal migrant and a legal immigrant, or even to recognize that the law of supply and demand also applies to their own fortunes.